After his studies in England in finance and informatics Miklós filled various management positions at banks in the UK and the USA, after which he was appointed CEO of Hypo Securities (a daughter company of HypoBank Wien) in Budapest. In 2000 he joined Capsys representing a group of private investors. 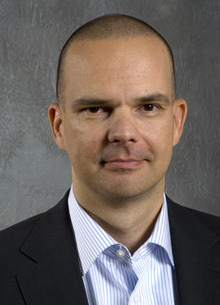 As co-CEO with Zoltán Szeles he runs Capsys operations. 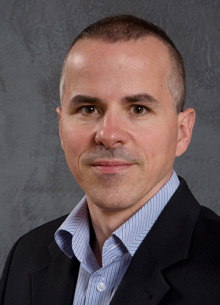 After graduating from Budapest University of Economics (recently renamed Corvinus) in 1995 Zoltán joined Deloitte &Touche as a management consultant. 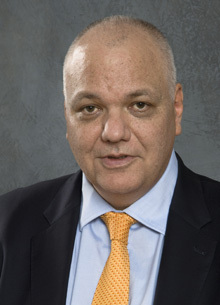 He was quickly hunted down by the owners of Procent Investment Ltd, where he became deputy CEO and member of the board. While building his career at Procent he continued his studies and received his MBA from his alma mater. It was at Procent where he built the foundations of his current company: he and his team designed a new retail brokerage software called Zeus. Zeus boasted innovative account administration and trading functionality, multiple portfolio views, and on-line Internet brokerage services, therefore it was a logical step to apport the solution into a new company, Capsys, and start marketing the solution as a product. CAPSYS Informatikai Ltd. (then Capital Systems Informatikai Ltd.) was registered in 1998, and started its independent operations in 2000. Zoltán and his colleagues bought out Capsys the same year and they run the company as an independent entity ever since. 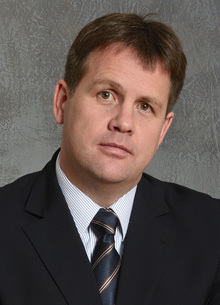 Tamás spent most of his career at GE Money Bank’s Hungarian affiliate Budapest Bank. As an engineer by training, he worked in many areas of IT, and he quickly grew through the ranks from IT operator, through department head, to division head. He joined Capsys in 2010 and he is responsible for the infrastructure as well as Capsys’ support services. 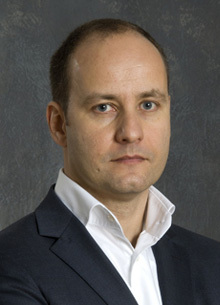 One of the founders of Capsys is Tamás Domonkos, former Head of IT at Procent Investments Ltd. He received his programmer-mathematician diploma from Eötvös Lóránd Science University. He joined Deloitte&Touche where he met Zoltán Szeles and Péter Wolf. They continued their career at Procent as a team, and later they became the founders of Capsys. Tamás has been part of the Management Board of Capsys since its inception; he is Technical Director, coordinating all areas of software, with special focus upon innovations, research and development. Róbert graduated from Eötvös Lóránd Science University in Computer Science. He was hired as the first Capsys employee in 1998. Over the past twenty years he gained experiences in several fields of banking and financial IT: expert consultancy, development, implementation, and support of securities settlement, pension fund administration and payment systems. Róbert has led several domestic and international projects with success. 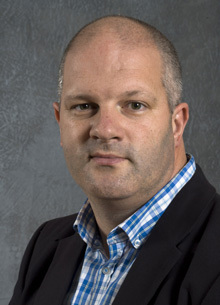 Among others he is running professional support of Capsys’ international partnership programme, dedicating particular attention to Immediate Payments and PSD2/Open Banking. Róbert has been recognized as one of the leading experts of Immediate Payments and PSD2/Open Banking in Hungary, speaking at numerous conferences on these topics. After graduating with a degree in finance from Budapest University of Economics (recently renamed Corvinus) in 1997 Dániel joined the National Bank of Hungary, the central bank as a financial analyst. He joined Capsys in 2000 and has been in charge of different consultancy and implementation projects. Dániel runs the Project Management Office and he is also in charge of our Capital Markets business unit. 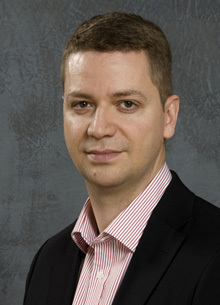 András joined Capsys in 2003 with focus on business development. After graduating from Budapest University of Economics (recently renamed Corvinus) in 1996, he worked for Citibank in both Venezuela and Hungary. After joining Bank One, he worked at the Bank of New York and ING Barings in New York City. During his banking career András filled various positions in investment services with special focus on client relations. Currently he is in charge of Business Development including sales, marketing and partnerships with special emphasis on the international expansion of Capsys.